Have you ever had duck for dinner? Ever seen it in all its glory before eating? 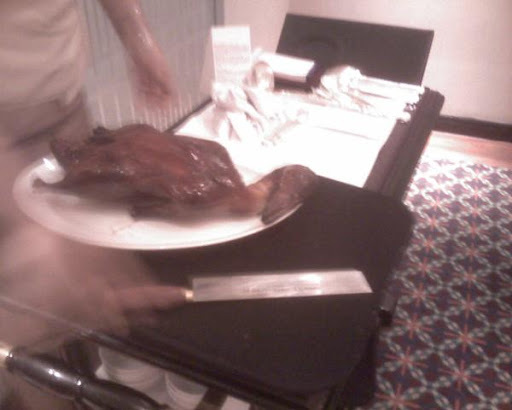 This duck s sliced and rolled in a soft wrap with a wonderful sauce and served with amazing panache at dinner. Maybe I won’t post the jellyfish that accompanied it.